At 7:45 p.m. PST Monday, the Sea Shepherd vessel M/V SHARPIE came upon an illegal gillnet within the Vaquita Refuge in the Northern Sea of Cortez, Mexico. The gillnet was entangled in a longline. 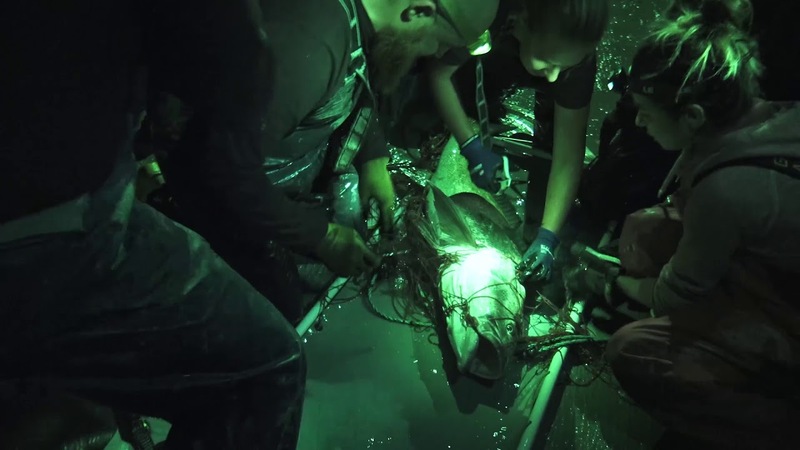 As the ship's crew began to separate the illegal fishing gear, they noticed live totoaba bass in the net, embarking on an unprecedented rescue operation. It is the height of totoaba bass spawning season in the Upper Gulf of California, when the endangered fish migrate directly to an area inhabited by the vaquita porpoise. The vaquita is currently the most endangered marine mammal in the world, and continues to be threatened as bycatch in the illegal totoaba trade. Sometimes humans forget that animals have feelings, too, and cause them to suffer. Just consider some Florida beachgoers who were filmed taking photos of and selfies with an injured hammerhead shark, who an expert says most likely died after the incident. Shark fins have been discovered on two Chinese fishing vessels during a joint surveillance conducted by Greenpeace and Guinean fishery authorities. One of the vessels also had illegally altered fishing nets on board, while a third Chinese vessel was caught using illegal nets and fishing for species outside of its license. The two vessels with shark fins on board have been fined $264,787.50 each, while the third vessel has been fined $370,702.50. The catches from all of the vessels have been seized by Guinean authorities. Despite a worldwide ban on the transportation of shark fins by major shipping carriers, a three-month investigation by Sea Shepherd Global—as part of their global shark defense campaign Operation Apex Harmony—has verified that large shipments of shark fin are still arriving in Hong Kong on airlines and shipping lines that have made "No Shark Fin" carriage ban commitments. Sharks are in big trouble around the world, with some populations crashing by more than 90 percent. Some species, such as the hammerhead shark, are facing a very real threat of extinction.